Bob Dylan's history is, in part, a history of popular culture. He has been active in the music industry for over 50 years and counting, and his lyrics chronicle some of the most dramatic and significant moments in history. Few other artists have managed to make a music career last for so long, and he shows no interest in retiring any time soon. The entire Bob Dylan history could - and has - filled entire tomes. Rather than recounting his story play by play, focus on the important events in Dylan's history and his influence on music in general. Bob Dylan was actually born Robert Allen Zimmerman. He attended University of Minnesota in the early 1960s, where he began cutting his teeth as a musician in local coffeehouses. He was not satisfied with performing under his given name, so he adopted the moniker Bob Dylan. In his autobiography, he revealed he took the name because he was interested in the poetry of Dylan Thomas at that time. Not content to live with a stage name, Robert Zimmerman legally changed his name to Bob Dylan. Dylan dropped out of school in his freshman year - 1961 - and moved to New York City, hoping to track down his hero and main musical inspiration, Woody Guthrie. Guthrie was bedridden with Huntington's Disease, but Dylan managed to visit him and strike up a friendship. Through Guthrie, Dylan met people involved in the burgeoning Greenwich Village folk and bluegrass scene. Thanks to characters from that music scene, such as the legendary Ramblin' Jack Elliot, Dylan hit the local club circuit and eventually landed a record deal after some label A&R men caught one of his shows. The folk music being made in Greenwich Village during this time - heavily influenced by English, Scots and Irish folk music - would eventually become the genre to dethrone many of the British Invasion acts that were dominating the charts. Folk music, especially the protest songs penned by Dylan and his Greenwich Village contemporaries (not to mention the folk musicians from the folk scene that was growing in California around the same time) became the soundtrack to the late 1960s counterculture. The lyrics of Dylan songs from this time chronicle the upheaval in the United States, from the Vietnam War to the Civil Rights Movement. It was also during this time that Dylan met Joan Baez, who helped him break into the music scene and performed many of his songs with him. The two also had a relationship and she became a constant figure in his life. This was the campaign slogan label CBS records used to try and sell Dylan as a musician. He was having great success as a songwriter for artists like Sonny and Cher, who put a poppier spin on his songs, but mainstream audiences took awhile to warm up to his admittedly distinct vocal style and sparse arrangements. The folk music scene in the 1960s went mainstream towards the end of the decade, but it was thriving in the underground long before that. Many folk fans had a decided distrust of pop music and electrical instruments, and they considered Bob Dylan to be a hero of the genre. Dylan then decided to go - gasp! - electric on his album Bringing It All Back Home Again and in his live performances. Folk fans were not pleased, and it led to two of the most famous events in music history. The first happened at the Newport Folk Festival in 1965. This festival marked the first time that Dylan plugged in in front of a crowd. The audience booed their way through his set, and legend says that angry folk fans were booing the electric guitar. According to other people in attendance, however, the booing had more to do with the poor sound quality and the fact that Dylan's band could only do a three song set. 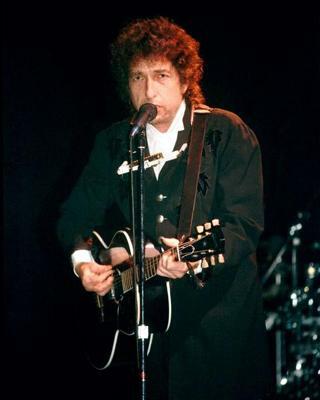 The show promoter then put Dylan on the spot to perform a solo acoustic set without any preparation, in hopes of soothing the audience, but the bad sound continued (as did a less than stellar performance). The real reason for the boos is still a mystery. The perhaps most famous instance of outraged folk fans is the instance that often erroneously gets credited as Dylan's first time plugging - his 1966 Manchester Free Trade Academy show. Here, Dylan plugged in to play Like a Rolling Stone, and audience member Keith Butler shouted out "Judas!" A small argument with Dylan ensued, the show was cut short, and Dylan's next album was a virtual hate letter to folk fans who had disowned him for using an electric instrument. Long known to be a recluse, Dylan has emerged some from his shell in the 2000s, starting with a surprise appearance in the Victoria's Secret commercial that shocked everyone. He returned to the road and released a new album in April 2009. Chances are good that his fans can look forward to more performances and recordings in the years to come.